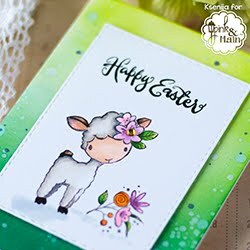 Watercoloring becomes one of the most popular techniques among card makers nowadays. I enjoy floral stamps, but not every image is easy to watercolor. 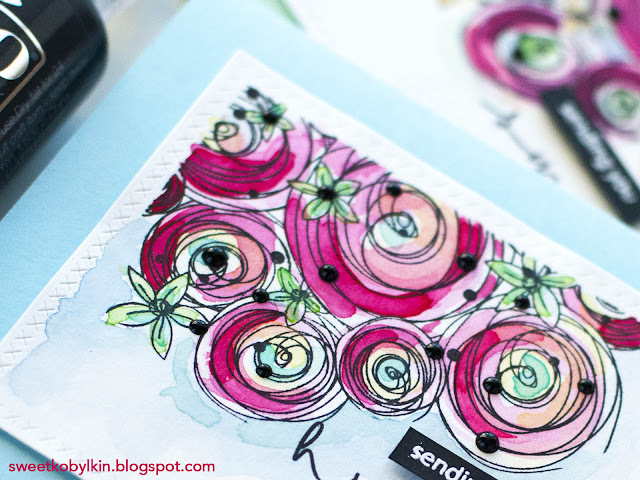 Today I am sharing a card created with a stamp made-to-be-watercolored. Hello Everyone! 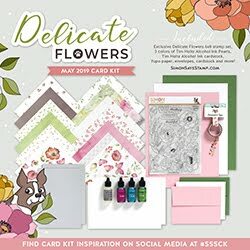 A few days ago I received my latest order from Simon Says Stamp with Spring themed stamps and supplies. I wanted to have a beautiful floral stamp which is easy to colour and use for Friendship or Thank You cards. 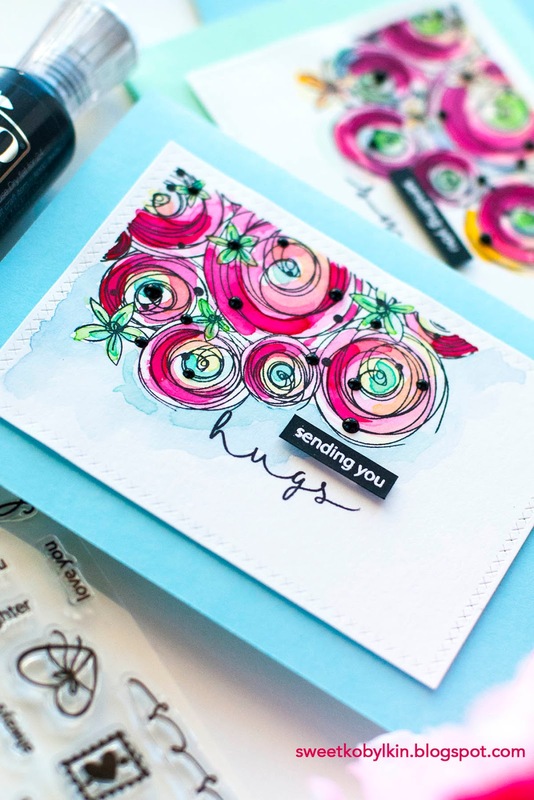 When picking this Hugs And Smiles stamps set by Joy Clair I noticed not only lovely sentiments, but also one design peculiarity which I really loved and will point out to you later. Why this stamp is made to-be-watercoloured? a bunch of cards to send to my friends. 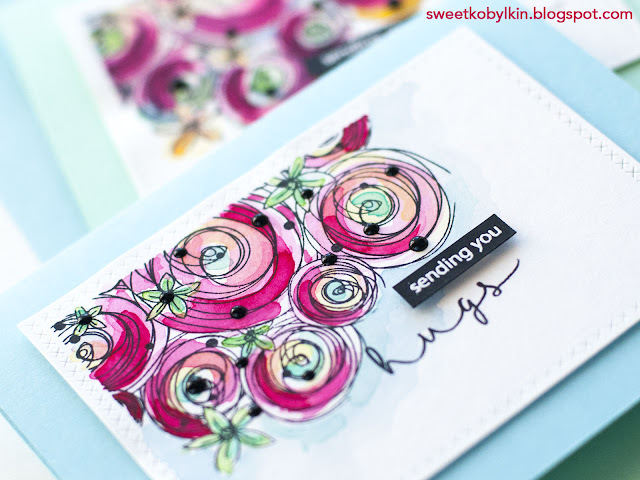 While making this card I followed my favourite three steps: Stamp, Color, Embellish. I stamped the flowers and the sentiment in black ink. Then loosely colored the flowers with Gansai Tambi watercolors. The abstract style of these flowers requires no watercoloring skills. I kept the flowers centers lightly colored, and added more watercolor on the borders. The lines in the design of the flowers gave me a good guidance where to apply color intensively. To embellish the card I popped the part of the sentiment up with a foam tape and added Nuvo Drops. Remember what I said about the design peculiarity? I love these black dots on the stamp in different sizes. I simply added Nuvo Drops to some of them without considering placement, size or quantity. 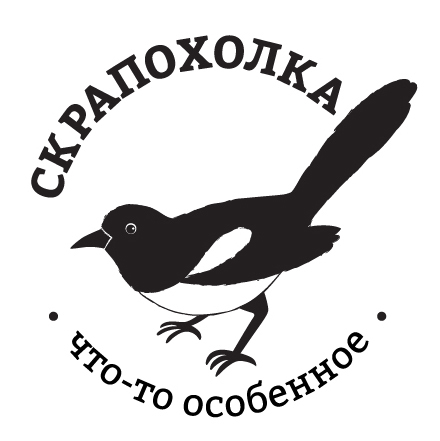 (Many of you may have heard these disputes about odd or even number of dots to add.) I find it very practical! 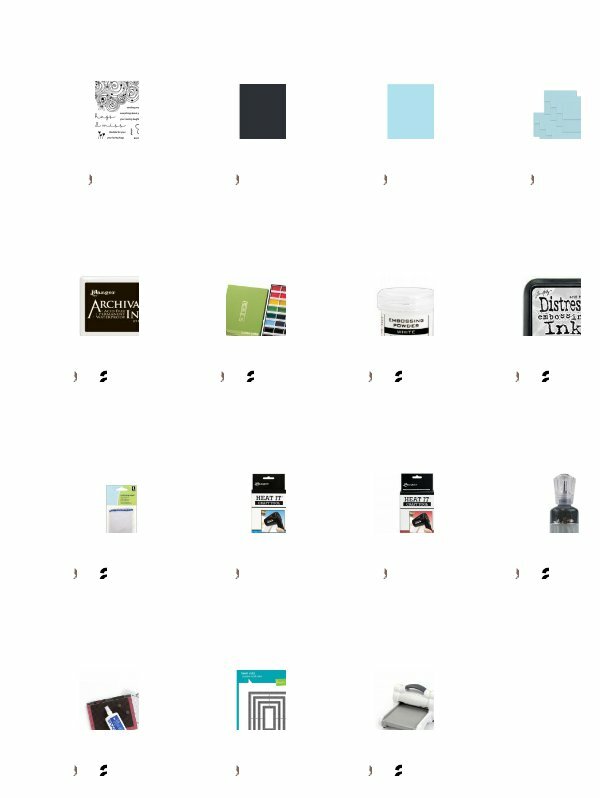 If you are building your Nuvo Drops collection, you may want to use Tonic Studios official swatch chart. Download it HERE. 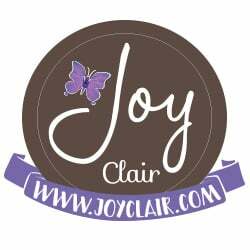 If you are my first-time reader and you enjoyed this post and the card, please follow my blog. 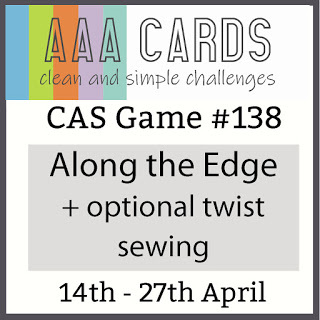 In the coming days I will be sharing more cards made with my refreshed stash. 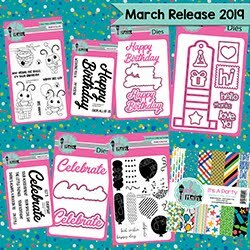 If Hugs And Smiles stamps set is out of stock at Simon Says Stamp, you may find it HERE at manufacturer's store. 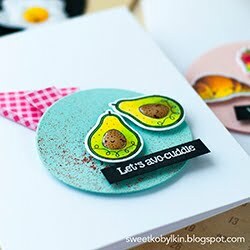 I have a similar stamp from SSS (sketch ranunculus), I should give them a try with your technique! Dear Isabelle, thank you for your kind comment.